Cocaine goes by many names. One web site lists more than a hundred slang names and aliases for it. To badly paraphrase Shakespeare, cocaine by any other name is still cocaine, and just as dangerous. Having a different name for cocaine will not prevent addiction, of course. Also, celebrities have gotten drawn in to the promotion of cocaine, though not with their permission. Law enforcement officials in New York did a 10-month investigation into a large drug dealing ring. While wiretapping them, the officials found that the dealers were calling crack cocaine Britney, and calling powdered cocaine Aguilera. It’s pretty doubtful that Christina Aguilera and Britney Spears signed marketing agreements with drug dealers. The New York Attorney General was able to charge 25 people with 340 counts of drug trafficking in that investigation. Cocaine comes from the coca plant, which is native to the western part of South America. Some of its slang names indicate this: Bolivian marching powder, Peruvian lady, Inca message, Gift-of-the-sun, and Peruvian flake. Coca leaves have been used in South America for a long time, going back thousands of years. At one point in time, they were only given to the Inca royal families. Perhaps this is why some royal slang names are used, such as King’s habit, Henry VIII, and Gold Dust. Some natives believed that chewing or smoking coca leaves would give them magical powers that could protect them or lead to a spiritual plane. This might lead to some cocaine slang names like Mojo, Stardust, Dream, and Heaven Dust. In the 1800’s, the coca plant was brought to England and studied. A chemist named Albert Niemann discovered that the active ingredient in the coca leave was the cocaine alkaloid. This led to a whole bunch of people using cocaine in various forms, from powder form, to being mixed with other things, such as tobacco, or added to medicine mixtures. Maybe one fourth of one percent of a single coca leaf is cocaine. The cocaine that is extracted from the leaves is extremely concentrated, and much more dangerous. The dangers of cocaine abuse and addiction are well documented. Some of its nasty side effects are seizures, irregular heartbeat, bloody nose, unconsciousness, stomach pain, vomiting, dehydration, high blood pressure, lightheaded or dizziness, and panic attacks. 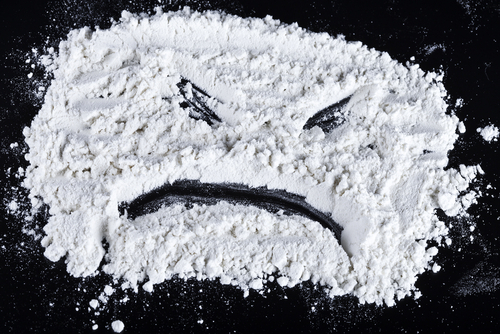 Some of the slang names for cocaine indicate those dangers: El diablo, foolish powder, heavy stuff, murder one, smoking gun, and wacky dust. This naming of names is all very entertaining. In some fantasy stories, knowing the true name of something or someone gives you power over that person or thing. In this case, the true name is cocaine, but that does not give you any power over it. True power over cocaine lies in education of yourself and others, as to the effects and dangers of cocaine. Knowledge always equals power. Knowledge of cocaine and other drugs, of the effects that cocaine has on the body, of how drug abuse leads to addiction, of how it affects families, friends and communities. And what leads a person to experiment with drugs in the first place? Is it peer pressure amongst teenagers? Or moving from prescription drugs to illegal drugs? Or from problems in life that a person has trouble confronting? Many people these days, both teenagers and adults, play video games. In these games are many powerful or heroic characters. Perhaps it should be promoted that these characters have to fight their way through their problems. They get no free passes, or the game is lost. Perhaps a lesson can be learned from that: confront and take on your problems. There are people who will help. Drugs are not necessary.